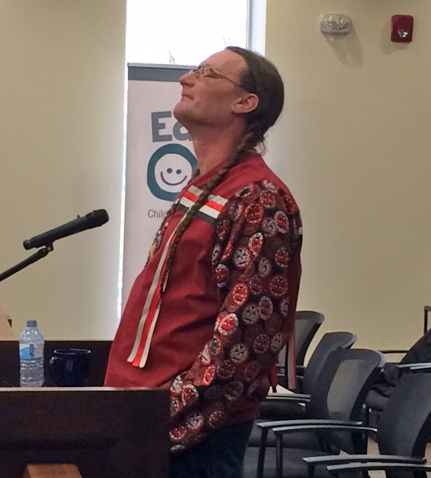 Hastings County has announced more than $680,000 will go to the Anishinaabe Baptiste Community Organization to develop a family centre supporting North Hastings’s unique Indigenous heritage. Part of the Journey Together: Ontario’s Commitment to Reconciliation with Indigenous People, the funding will be put to operating, start-up and capital costs of the Algonquin Inòdewiziwin Child and Family Centre — $386,910 in 2018 and $297,598 in 2019. It will be based at Maynooth Public School. “In the Hastings County Early Years needs assessment, culturally sensitive programs and services were identified as a need from parents,” said North Hastings Children’s Services executive director Jessica Anderson. The children’s services are also partners in the centre’s establishment. School principal Lisa Resmer said she was looking forward to the centre as a next step in the school’s partnership with local Algonquin Nation Kijicho Manito Madaouskarini. She said they’ve been working closely together over the last four years. On their Facebook page, the Kijicho Manito Madaouskarini called the news exciting and important. “Congratulations to everyone involved for their hard work and dedication to this project,” read their post. Algonquin elder Ada Tinney has been hired as the planner for the centre, Anderson told Bancroft This Week. “Algonquin elder teachings, and eventually language circles, will rebuild intergenerational cultural continuity that is being lost in the area. In the broadest sense, culture is the customs and values we use to express ourselves and engage in the world around us,” she said. • Parents and caregivers will have access to high quality Indigenous services that will support them in their role as their children’s first teachers, enhance their well-being and enrich their knowledge about early learning and development. In particular, children and parents will both learn the Algonquin language, history and culture. • Children will have access to play and inquiry-based learning opportunities and experience positive developmental health and well-being, in part using natural and traditional materials. The centre will not be a registered child care centre, meaning it will not be a day care. Parents will be required to attend with their children.